Saudi Arabia online executioner job posting. 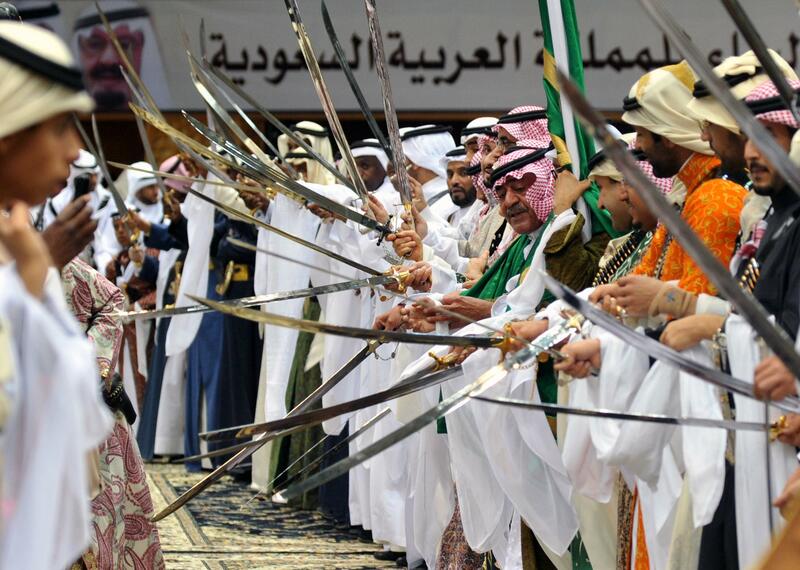 The traditional Saudi dancing best known as “Arda” in Riyadh on February 18, 2014. Finding a job, of any sort, online is pretty standard practice at this point, but on Monday Saudi Arabia took the quest for qualified candidates to a new, surreal level when the Ministry of Civil Service’s website posted job openings for eight executioners. Saudi Arabia prefers to carry out capital punishment by beheading, usually in public. And, you see, there’s been a pretty serious uptick in executions—the 85th execution of the year was carried out on Sunday, which nearly equals last year’s total in the Kingdom.